"The car is the ultimate mobile device, isn't it?" Williams said at Re/code's Code Conference, responding to a question about which new markets Apple is looking at. "We explore all kinds of categories. We'll certainly continue to look at those, and evaluate where we can make a huge difference." Williams was referring to CarPlay, but his comments are sure to add fuel to the Apple Car fire. Rumors of an Apple car first surfaced in February of this year, with reports that the iPhone maker was preparing to "give Tesla a run for its money" with a new electric vehicle. Apple is thought to have "several hundred" workers on the car project, which is said to be codenamed "Titan." 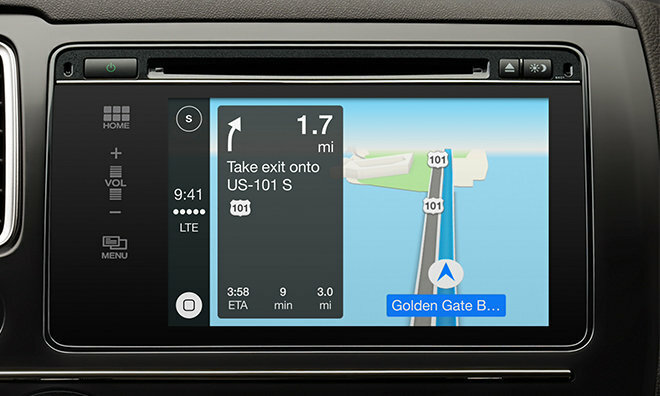 The rollout of CarPlay, meanwhile, continues to expand. At the same conference, GM CEO Mary Barra announced that CarPlay would come to 14 Chevrolet models for 2016.